5-strand, originally uploaded by spicybraids. 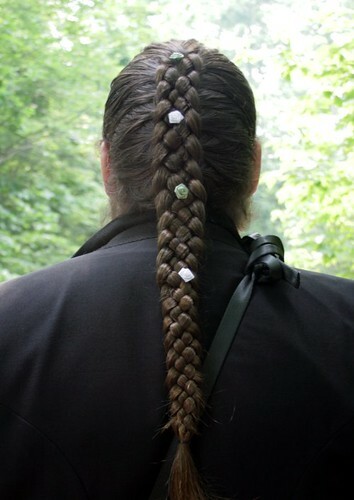 Here's a back photo of a long five-strand braid. This could be accessorized with flowers or pretty clips for the bride who wants to wear a braid. keywords; bridal hair, braids for brides, briaded bridal hair, braided bridal hair, hairstyles for brides, bridal hair ideas, bride hair possibilities.